Emily Levenson, an attorney at Brown, Goldstein & Levy LLP, is committed to fighting for those without a voice. She focuses on criminal defense and disability rights cases, expanding the expectations of judges, opposing counsel and others by telling her clients’ unique stories. She asks them to consider the long-term consequences of their decisions and believes that by doing so she is promoting justice for disadvantaged members of the community. Levenson mentors new and aspiring lawyers inside the firm and outside. 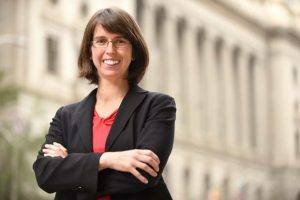 She has participated in University of Maryland Francis Carey School of Law’s Alumni Mentoring Program and worked as an adjunct professor and staff attorney at the law school.